Charming Charlie finds joy in the little things. We believe the perfect accessory has the power to make you feel great about yourself and a bright pop of color can absolutely transform you. We’re a place where you can celebrate your own style, find that perfect piece you’ve been looking for and discover irresistible new treasures! We design our chic accessory and lifestyle collections to give you unrivaled value through our vast array of relevant styles, great attention to detail and quality we stand behind. Our mission is to make women happy and inspire them to lead more colorful, confident lives. The following Charming Charlie Gift Card Terms and Conditions (“Agreement”) describes the terms and conditions that apply to use of Charming Charlie Gift Cards that are purchased in store and online and that are given as store credit in exchange for merchandise returned without a receipt (collectively, “Cards”). This Agreement is between you, the Cardholder, and Charming Charlie USA Inc. (“Issuer”). By purchasing, accepting or using your Card, you agree to be bound by this Agreement. If you do not agree with this Agreement, do not purchase, use or accept the Card. IMPORTANT: This Agreement includes resolution of disputes by arbitration instead of in court. 1. About Your Card. The Cards are issued by Issuer. Issuer is an affiliated entity of Charming Charlie LLC and is authorized to issue the Cards. Issuer is also responsible for the operation and maintenance of the Card program. Issuer is the sole legal obligor to the Cardholder. Charming Charlie LLC and its affiliates and related entities (other than Issuer) bear no responsibility or liability for any Cards, and you hereby knowingly release Charming Charlie LLC and its affiliates and related entities (other than Issuer) from any and all liability or claims of any nature whatsoever arising in connection with the Card. Cards can be purchased in store or online at charmingcharlie.com or by telephone at 1-888-675-2275. Cards may also be provided to you as store credit in exchange for merchandise returned without a receipt. 2. Balance Inquiry. For balance inquiry, call 1-888-675-2275 or visit www.charmingcharlie.com/gift-card-balance/. The balance you receive when inquiring over the telephone or online is an estimate only. In most cases, the balance is adjusted immediately when you make a purchase, but there may be occasions when the balance adjustment is delayed. 3. Expiration/Deactivation. Cards do not expire. No fees for inactivity or service fees apply. Issuer reserves the right to refuse to honor any Card in the event of a disputed credit card charge, bounced check or other failure of consideration. 4. Redemption. 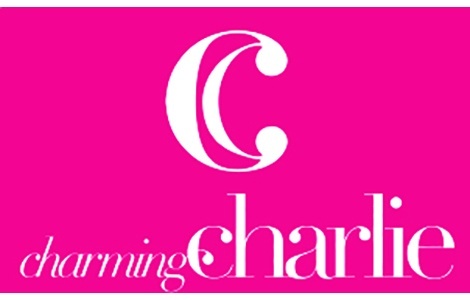 Cards are redeemable only for purchases of merchandise or services at Charming Charlie locations in the United States and at www.charmingcharlie.com. Cards are not debit or credit cards. Cards have no cash value and may not be redeemed for cash (except as required by law). Cards are not redeemable to purchase another Card or towards previously purchased goods or services. 5. Reloadable. Cards may be reloaded with value. 6. No Refunds. No refunds are permitted with respect to Cards.